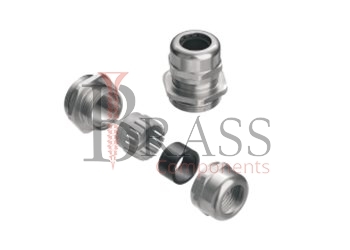 Stainless Steel Cable Glands are manufactured from durable stainless steel, AISI 303, 304, 316, AISI 316L standards or any other composition as per custom specification. 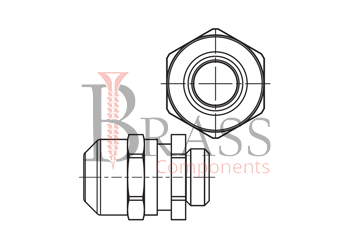 The manufactured range of Stainless Steel Cable Glands are compiled to meet the BS: EN 50262:1999 Standards. Stainless Steel Cable Glands achieve high ingress protection ratings of IP68 and IP69K. The smooth design minimizes the accumulations of moisture, dust, contamination of food residue. They are widely used in various industrial sectors for reliable installation and functioning. Based on various industrial applications, Stainless Steel Cable Glands are available with different type of Cable Gland Accessories including Lock Nuts, Earth Tags, Reducer, Adapters, Serrated Washer, Neoprene Ring and more. Provide excellent resistant against seawater. Water tight and Corrosion Resistant. Available in wide clamping and sealing range. IP68 and IP69 rated cable glands. Temperature Range: -25°C to +100°C. CE, UL and cUL Listed Stainless Steel Cable Glands. Available with smooth surfaces and without edges. Provide protection against prolonged immersion under water. Offer the great benefits for other applications, where the ambient conditions are harsh. Provide a reliable seal on industrial environments. Suitable for Industrial and Food and beverage applications. Suitable for excellent strain relief applications. Ideal for onshore and offshore applications. We manufacture Stainless Steel Cable Glands as per Custom Specification and export in Germany, Spain, Netherlands, Portugal, UK and other European Countries. For more Information, Please Contact Us or Inquiry Now.